Prevent theft and data leakage of your important files, documents, company files, source codes and private files from devices like USB Drives, CD/DVD and network computers. You can whitelist your own USB drives and devices. Whenever an unauthorized device is detected, a password prompt comes up. - Blocks access to your USB drives, external drives, memory sticks, digital cameras, media discs, Blu-ray discs, network drives, network computers, and non-system drives. - USB Block is data leak prevention software engineered to safeguard private data; it blocks access to unauthorized data copying from a variety of mediums. - It offers the option to allow access to only those drives and devices that you have authorized, blocking all other unauthorized devices. - USB Block prompts for the password whenever an unauthorized USB drive, external drive, memory stick or any other removable device tries to access your data. - You can prevent copying and leakage of your data to unauthorized USB drives and other such removable devices. - USB Block uses multi-layer patent pending protection that works on Windows Kernel-level and blocks all unauthorized and malicious devices. - Data is tamper-proof and hack-proof against unauthorized access from a comprehensive list of devices that you wish to restrict. - Engineered to block USB Drives, CDs/DVDs, network Access, partitions, memory cards, Blu-ray and many other devices. - USB Block prevents data from being accessed from your computer by unauthorized devices, making data theft an impossible feat. - The Reports & Logs feature in USB Block regularly monitors which device was authorized, when and by whom. 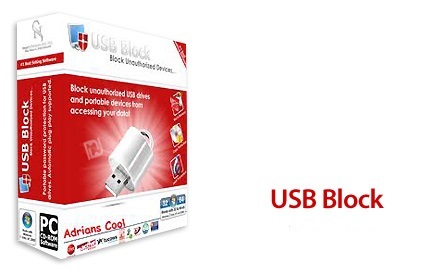 - USB Block uses top-notch data-leak prevention technology and ensures complete security of your files. - USB Block prevents your protected documents from being illegally copied from your windows computer. - It prevents plagiarism, piracy, illegal distribution and copying of your data, making it an invaluable asset for any organization or person. - Protect your marketing strategies, financial reports or technical schematics from being illegally accessed. - Actively monitors hacking attempts and keeps records of program deletion attempts, unauthorized uninstall attempts, as well as fake login attempts. - Illegal Log activity monitor records the name of the device, time and date of the when data access was attempted. - It acts as a first line of data defense, discouraging would be data thieves, as their illegal activities will be recorded. 1. Run the Block-Hosts.bat file as Run as Adminstrator.